I had heard great things about the balm dotcom, a moisturizing do-it-all balm for every occasion. 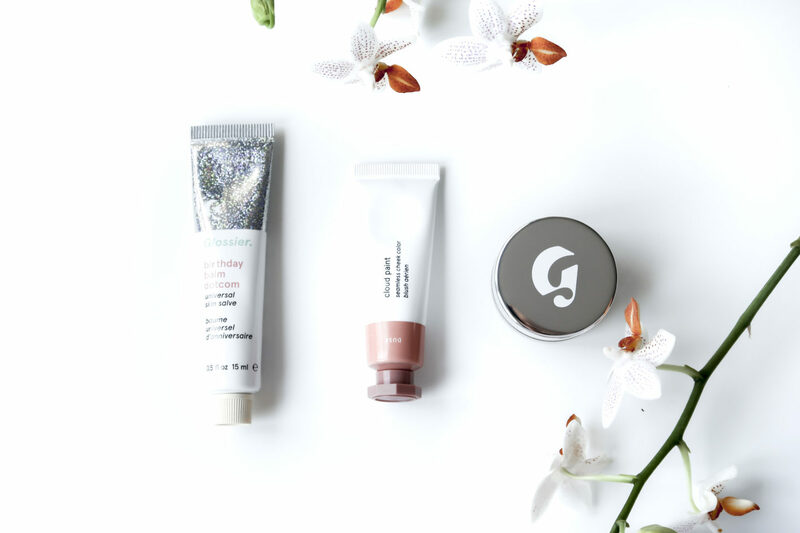 I was in the mood for the original one but because I already got my beloved Malin + Goetz mojito lip balm that is clear, I thought it could wait. And tinted lip balms I got plenty of so the cherry and rose ones I also liked would also have to wait. What I didn’t have on the other hand was a shimmering lip product (I’ve never been that into lip glosses) so when i heard about the birthday balm dotcom it felt just like my jam. 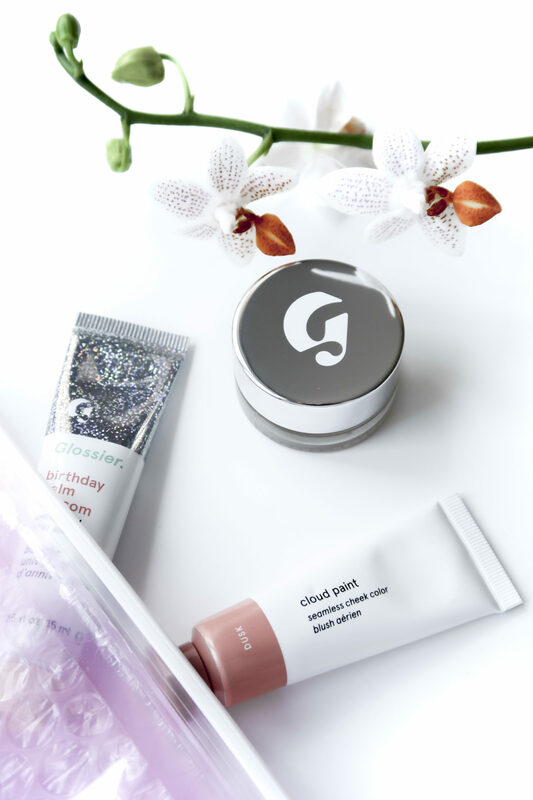 The other product and the one I was most excited to try was the Glossier cloud paints. I really liked all the colors but the one that was most unlike anyone I already got was the color Dusk. It’s a brown-y peach-y pink that I thought could be nice as a blush, contour, eyeshadow or lip product. 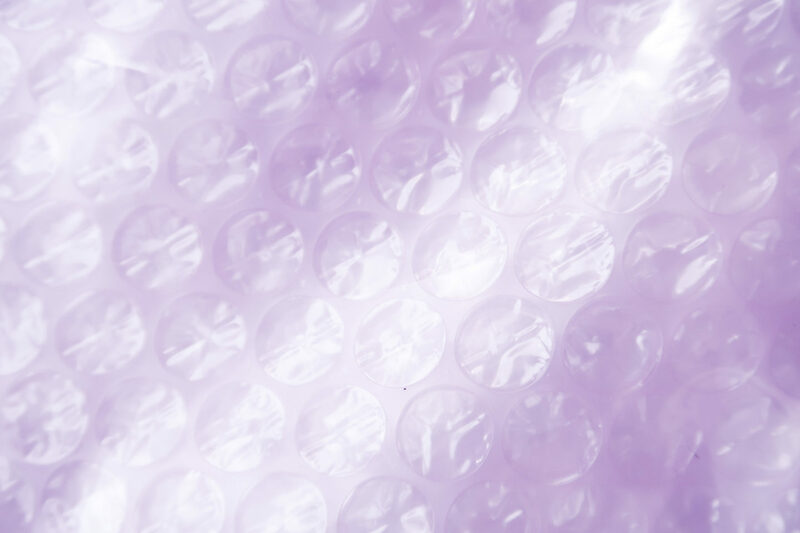 The one on my wish list now is Puff. The third and last product I chose was the stretch concealer. I really wanted to try the boy brow, but since I just bought an Anastasia clear brow gel that felt unnecessary. A good concealer on the other hand was something I actually lacked in my collection. I really liked the coverage of the Nars Radiant Creamy Concealers but they are a bit too dry for my skin and creases so very quickly. I heard that the Glossier stretch concealer described as a more moisturizing version of that one so I just had to try it! This is a matte balm with a bit of shimmer. This makes it perfect to use on the cheeks as a highlight as well as a lip product. Because of its matte texture it doesn’t slide around and with the shimmer it givs a glowing look. I really like this balm although the scent is very synthetic cake. I kind of like it because it reminds me of those scented erasers everyone had when I was little but it can be a bit sweet! This one appealed to me because of it’s versatility. I love that I can use it as a blush, on the lips, as an eyeshadow or as a contour. The color is really pretty and I love that it’s a watery texture that is easy to blend. The best product of them all is this concealer. I love it! It’s super moisturizing so it doesn’t look dry or cake-y. I also love the shade. I thought it would be a bit dark for me but it’s really perfect. 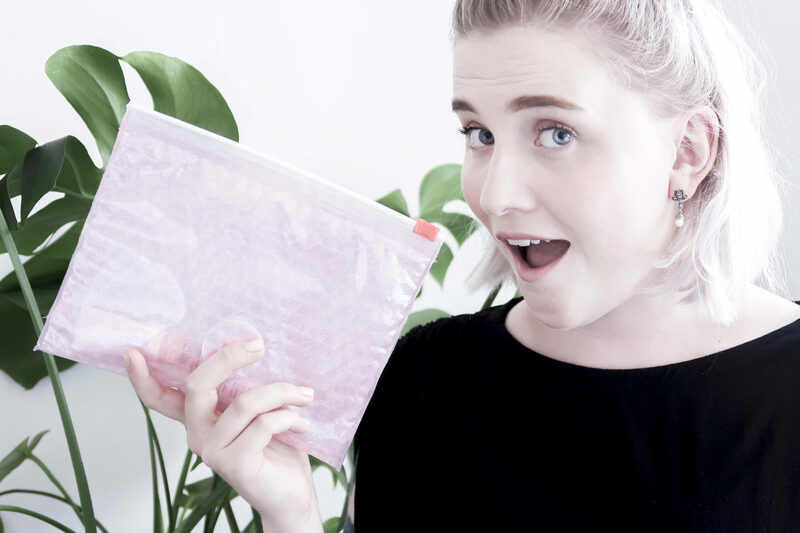 It brightens my face and covers most of the redness – win! 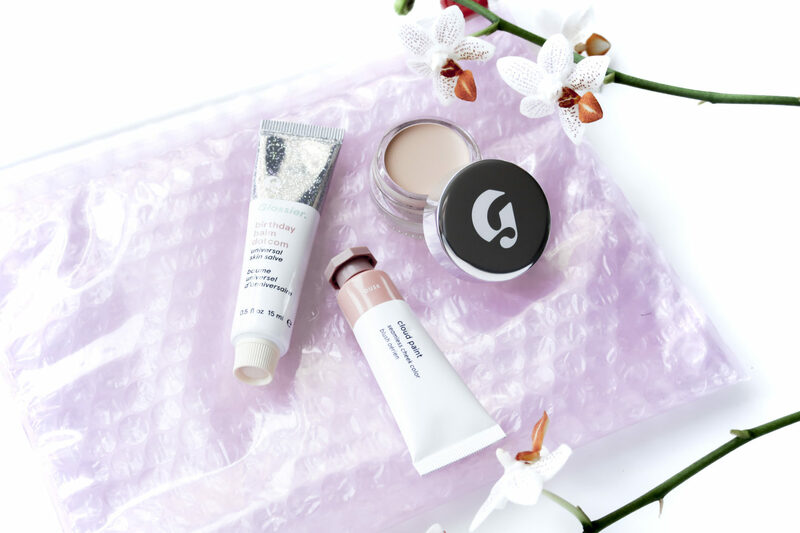 And that was it for this first impression of Glossier. I’m now even more excited to try all the other products in the range, the question is when I’ll be able to get a hold of them. I heard something about them coming to England in October so perhaps the shipping from there is better. Fingers crossed that they come to Sweden as well.